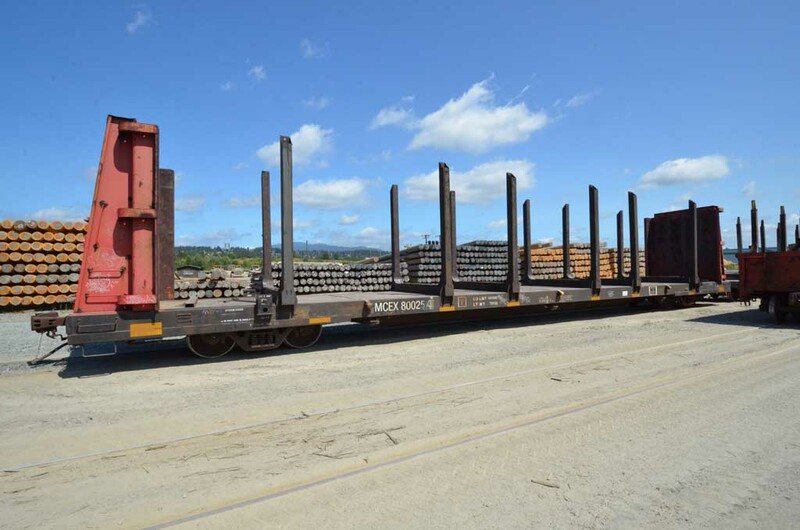 Bulkhead Flat Car with log bunks Inside Width 9' 1"
Load Limit 184,700 lbs. 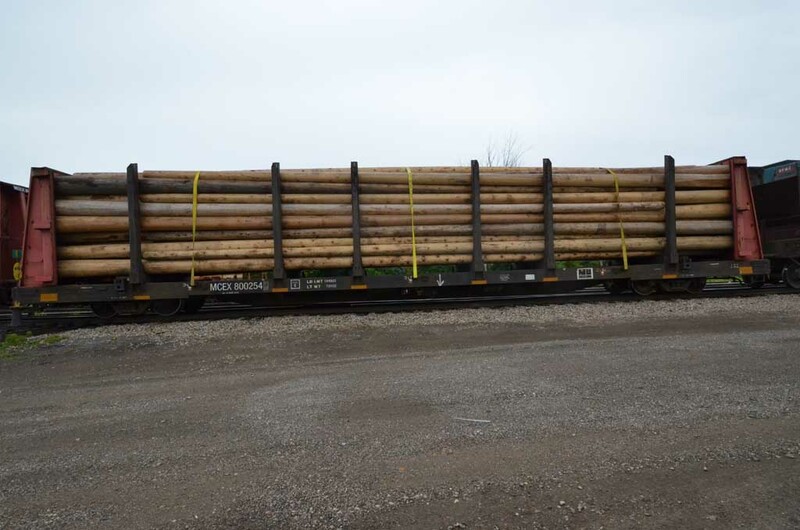 Outside Length 81' 4"
Max Weight on Rail 283,000 lbs. Extreme width 10' 8"
LT. WT. 78,300 lbs. Extreme Height 14' 11"
Height of extreme width 14' 3"